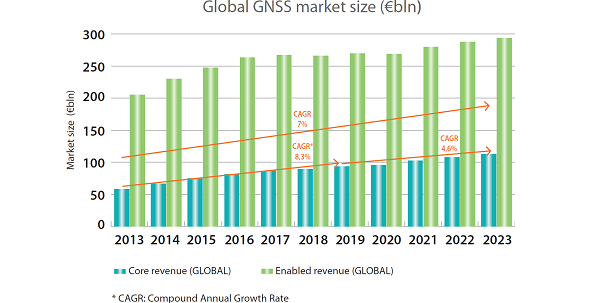 Over last years we can observe continuous growth of the global GNSS market. The total market size is around 250 billion USD and the core (chipset) market is around 75 billion USD (according to the European Global Navigation Satellite Systems Agency – GSA). 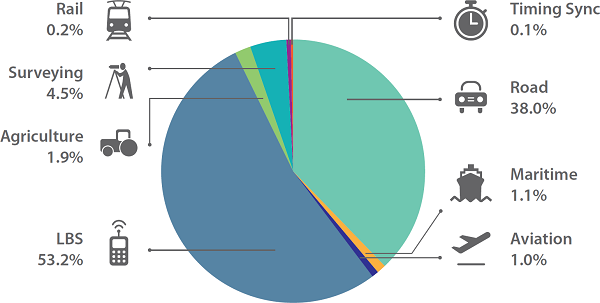 Most of the market is dominated by road and smartphone location based services (LBS). ChipCraft wants to answer the demands for affordable, reliable and high precision positioning solution, reported by such segments as aviation, agriculture, space and military. Our special focus is on aviation, safety and agriculture segments which according to GSA represents 3% of the total GNSS market. The project is now on 3rd Technology Readiness Level - TRL. Three-dies chipset developed in 130 nm CMOS technology was successfully manufactured and characterized during the NCBR (The National Centre for Research and Development) project. The chipset is a full RF (Radio Frequency) Front-End for satellite navigation receiver. With dedicated microstrip antennas (developed and manufactured) it receives navigation signals in two frequency bands (L1/E1, L5/E5) from both Galileo and GPS constellations. The specialized, multi-core navigation microprocessor (µP) was simultaneously developed during NCBiR’s grant. Each of µP’s cores is a 32-bit, high-performance and low-power pipelined control unit. Proprietary microprocessor’s architecture has been designed from the scratch by our team at the Warsaw University of Technology. The full integration of these three chips together with a dedicated navigation microprocessor, which can run navigation and application firmware, into one silicon structure is in progress of actual works.